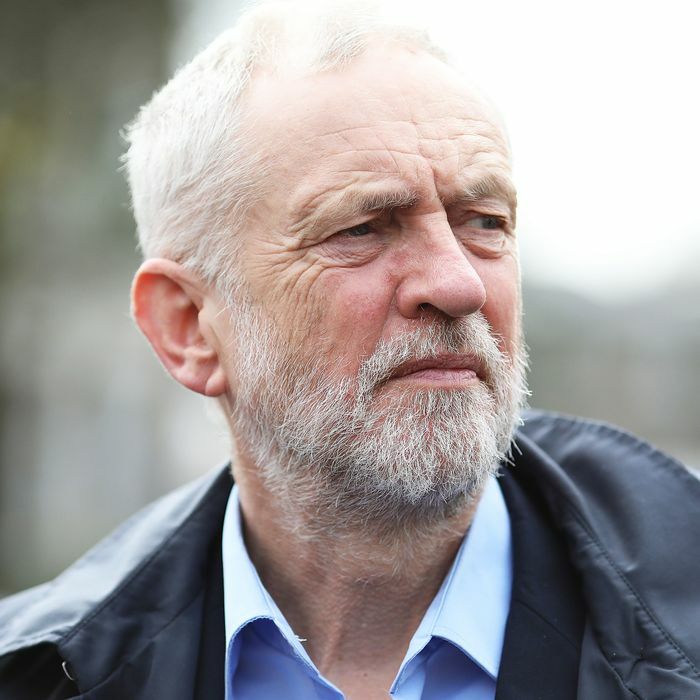 In a major speech delivered on Tuesday, U.K. Labour leader Jeremy Corbyn said that Theresa May’s government had failed to deliver benefits for British manufacturers, as the pound has slipped relative to the dollar and euro amid the political chaos leading up to Brexit. “Our exporters should be able to take proper advantage of the one benefit to them that Brexit has already brought, a more competitive pound,” he said. He also said that the U.K. depended on imports from the rest of Europe and elsewhere — which he referred to as “cheap labor abroad” — and that the coming withdrawal from the European Union could make things worse. The remarks came as part of Labour’s new “Build it in Britain” campaign, which promotes domestic manufacturing. Corbyn did say that the U.K. should negotiate a customs union with the European Union, a proposal that would go a long way toward making Brexit a softer landing for the country. Still, the Labour leader’s hint of anti-free-trade economic nationalism, and the suggestion that falling currency might actually be a good thing, could meet stiff resistance from Labour leaders and voters who believe that Brexit, which is due to go into effect in March 2019, is a historic mistake. Many Labour voters are in favor of a second referendum to correct the first, a possibility May has ruled out. In 2016, Corbyn positioned himself as nominally against leaving the European Union, but did not campaign vigorously against it. But Corbyn’s populist message has resonated with young Britons over the last two years, and he has overcome political hurdles before. Labour found itself in a historically weak position after the referendum, but it has since rebounded. In a general election called by May last year, the party made surprisingly strong gains across the country, taking advantage of the prime minister’s weak campaigning skills. Earlier this month, May revealed her plan for a “soft Brexit,” which led to the resignation of key cabinet ministers who rejected it as too timid, and has left May in a politically unenviable position. With just months left before the Brexit deadline and no viable strategy in place, she faces more dissension within her own ranks and no guarantee that she’ll survive in her post much longer.